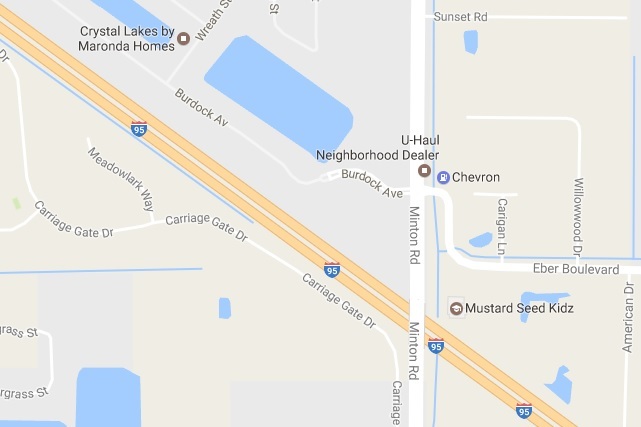 WEST MELBOURNE, Florida - A brush fire that erupted Sunday afternoon between Carriage Gate Road, Minton Road, and I-95 in West Melbourne, Florida continues to burn early Monday morning. According to the Florida Forest Service, the fire had spread to 40 acres on Sunday but was later 70% contained and reduced to 25 acres as of 8 p.m. Sunday. 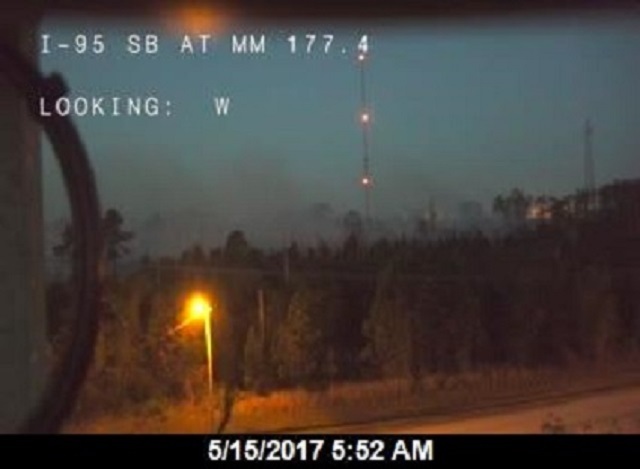 Florida Department of Transportation traffic cameras show that the fire, dubbed "PalmFire" by FFS, is still burning near I-95 but so far, traffic on the interstate has not been affected by the smoke.